If you want to blanket your house with Wi-Fi, the Google Wifi 3-pack is the way to go. Right now, you can grab one for yourself for only $207.19 when you enter coupon code PICKDADSGIFT during checkout. This set normally sells for between $260 and $300 and has only dropped this low before during other eBay deals similar to today’s 20% off sale. Setting it up is a breeze, and the added controls over individual devices on your network brings you a peace of mind that other systems just can’t match. You can add onto that system with a single Google Wifi for $91.19 using the same code above (if you buy both at the same time). A nice way to integrate Google Wifi into your home is by mounting them, as they look as nondescript as a smoke alarm. You can get a three-pack of mounts from Amazon for only $24 right now. 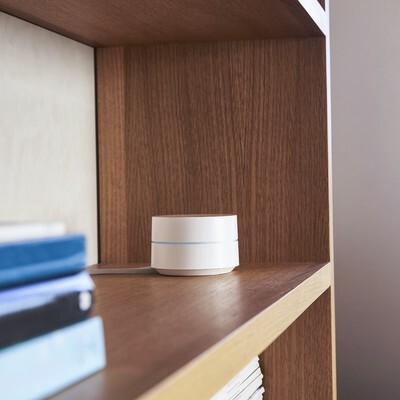 Not interested in a Google Wifi 3-pack? eBay is offering 20% off any single item over $50 when you use the coupon PICKDADSGIFT today only.